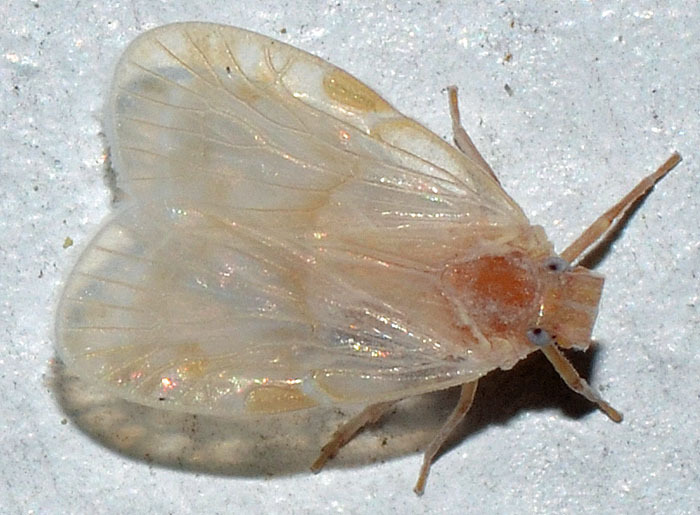 Several of these small and unusual planthoppers were attracted by our porch lights. They look surprisingly pale and have a strange, chopped-off head in front of the eyes. Looking at other pictures on the species' bugguide page, it appears that the wing patterns can be darker. The sister species B. cognita has significantly darker wings.